Featured in Traxsource Essential Jackin chart w/c 4th February 2019.. 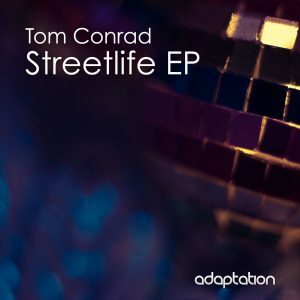 Adaptation Music’s Tom Conrad kicks off 2019 with a great new two tracker entitled ‘Streetlife EP’ which once again shows his versatility and ability to avoid being predictable or typecast when producing house music. It follows on from his previous project on the label, ‘Dawn Rising EP’. The EP opens up with the sublime ‘Street Boogie’, a classy jackin house track that would also appeal to disco, funk and soul fans due to its multitude of intelligent crossover sounds and warm feel. Certainly one of Tom’s greatest works to date. The ‘B Side’ of the release is the long awaited ‘Fading Lights’ which also has a huge crossover appeal. Whilst primarily being a deep/jackin house track, it has embedded influences of soul, funk and disco and an overall very warm, emotional and atmospheric vibe. After a strong 2018, Tom kicks off the new year in style and is the first of many releases in the pipeline for the months ahead. Tom continues to establish himself with his consistency and progression within the realms of deep and jackin underground house music, so look out for much more from him in the coming year.